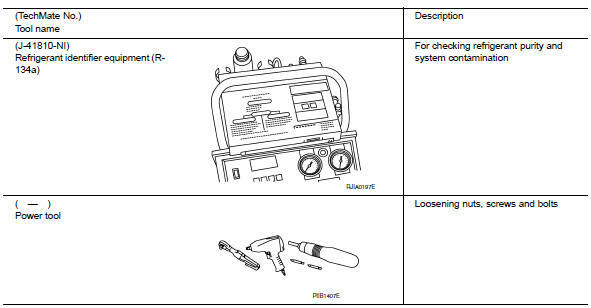 HFC-134a (r-134a) service tool and equipmen.T. Do not mix HFC-134a (R-134a) refrigerant and/or its specified oil with CFC-12 (R-12) refrigerant and/or its oil. 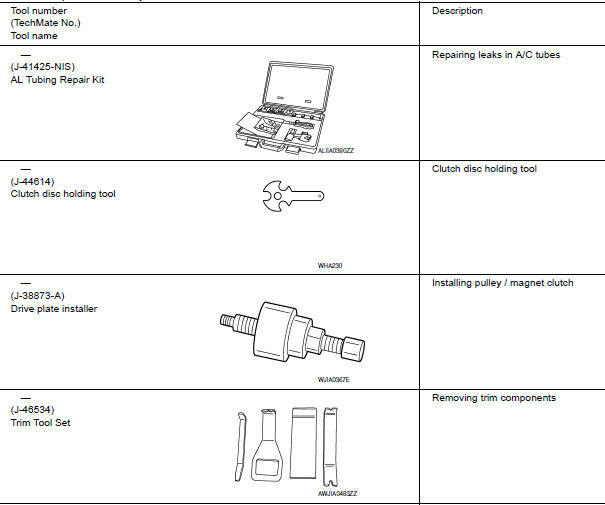 Separate and non-interchangeable service equipment must be used for handling each type of refrigerant/oil. 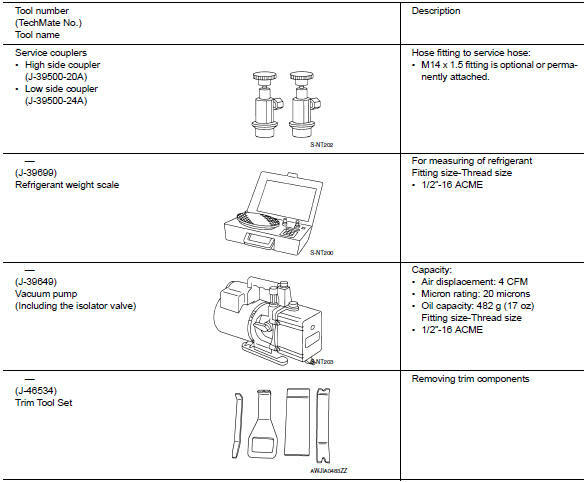 Refrigerant container fittings, service hose fittings and service equipment fittings (equipment which handles refrigerant and/or oil) are different between CFC-12 (R-12) and HFC-134a (R-134a). 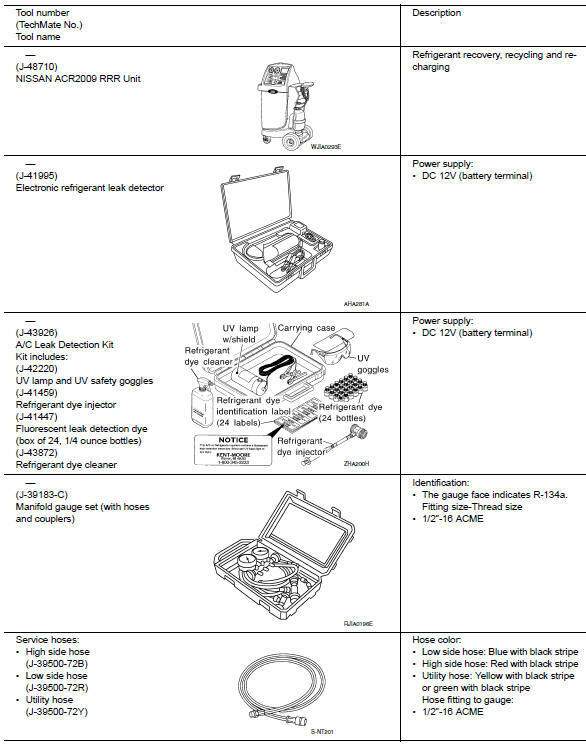 This is to avoid mixed use of the refrigerants/oil. Adapters that convert one size fitting to another must not be used or refrigerant/oil contamination will occur and compressor failure will result.